To celebrate the grand opening of a brand new KFC restaurant in London staff turned the restaurant into a nightclub because why the hell not! 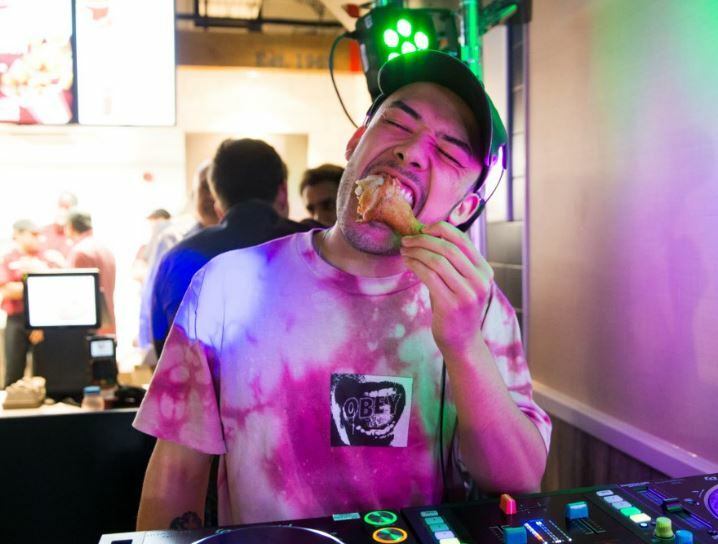 The Mornington Crescent KFC opened it’s doors to revellers and party goers for one weekend bringing in top DJ’s like Bradley Johnson who spent the evening entertaining lucky customers. Don’t go thinking this is your usual KFC though, the place was kitted out with blacked out windows and high tech lighting so customers could get in the party spirit. 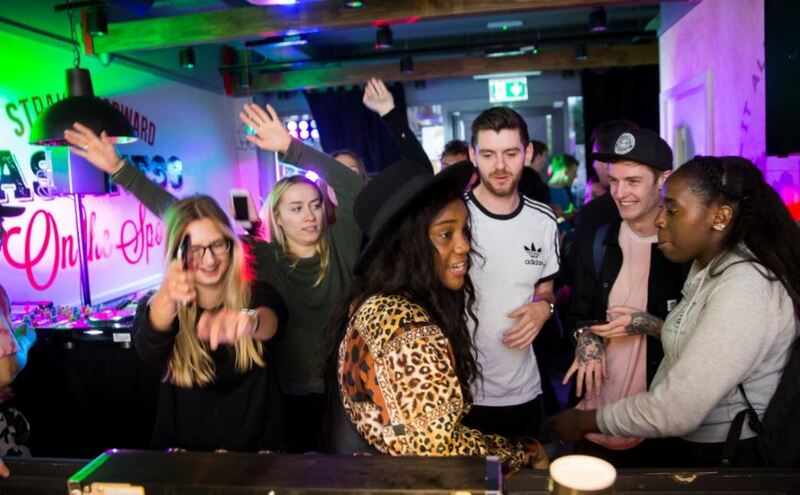 Khawar Hussain, the restaurant’s franchise owner, organised the event with help from local hip hop night BURST who regularly host emerging acts and DJ’s in the nearby Camden club KOKO every Friday. Hussain hoped that the event would celebrate North London an area rich in musical heritage and with world class nightlife. 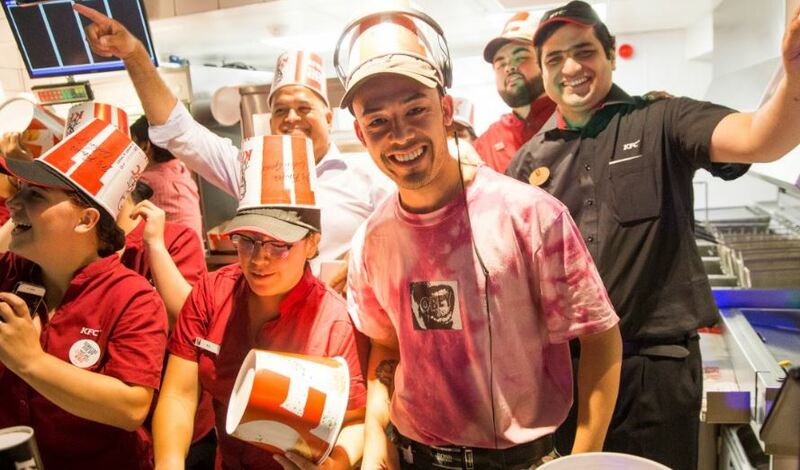 We knew it was only right to officially launch our new KFC in Mornington Crescent in true North London style – with beats to accompany our buckets. 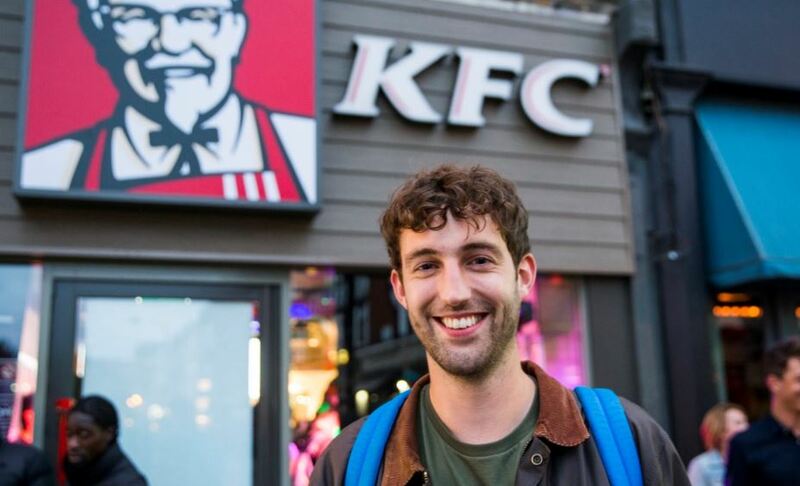 We wanted to give local customers a real night to remember – the chance to enjoy their favourite fried chicken in a totally unique environment. We love this community and wanted to celebrate its great qualities on our launch night – and we can’t wait to serve locals here for many years to come. Its not all fun and games though the new restaurant will create 20 jobs in North London. And they plan on being involved in KFC’s charity initiatives including the Food Donation Scheme, which sees unsold chicken frozen and donated to a local charity partner.